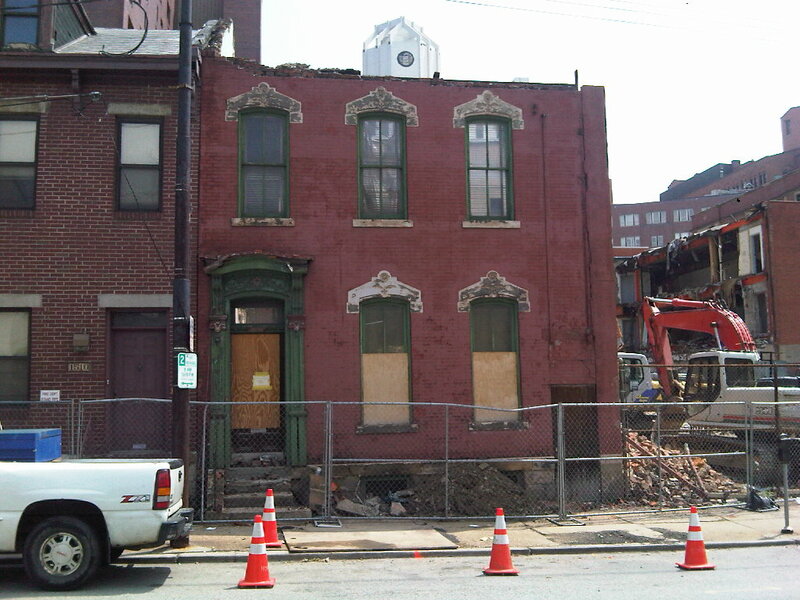 Discovering Historic Pittsburgh: Demolition in Uptown/ Bluff area. A Victorian era (1860s-1880s) row-house was demolished in the Bluff neighborhood by Mercy Hospital. It was near the intersection of Forbes and Pride St. As of today, the house is about half-demolished. 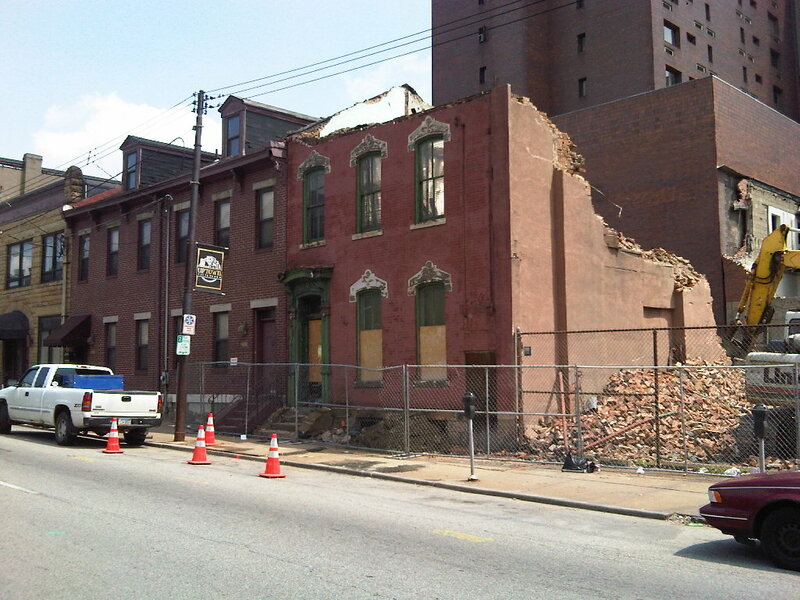 It is sad to see the continued erosion of the historic character of our city. Houses like this one are, to me, the finest examples of Pittsburgh "vernacular," and yet they are disappearing rapidly. It's amazing that houses like these would sell for $300,000 restored in the South Side Flats or Central North Side, but in the Bluff they are knocked down. Restoration is so much better for the environment than filling up landfills with debris. I'm amazed that no one at least bothers to salvage any of the Victorian era ornament. Very sad. This was another of Mercy Hospital's doings, all in the name of parking.